A trade and order management system. Meeting the needs of a fixed-income desk. Trade fixed-income products without manual intervention – minimize errors. Facilitate the flow of transactions and marketing information to the reps – increase sales. 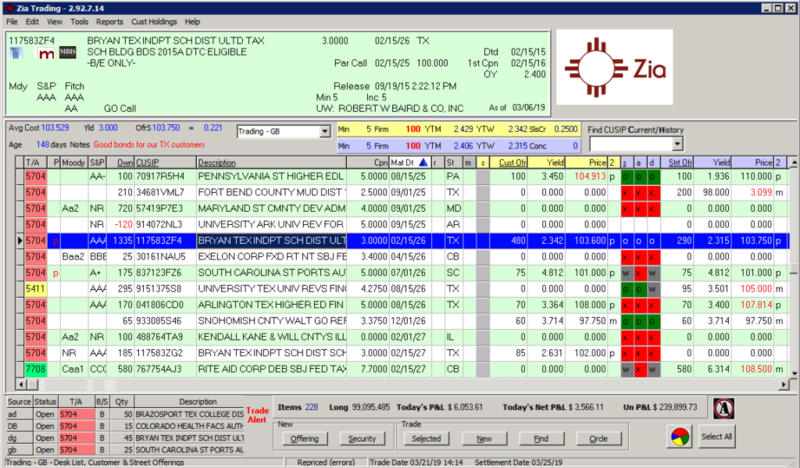 P&L and sales on demand – no waiting for your back office to see how you’re doing. Monitor and control trading limits. For more information click here to download the PDF brochure. A new browser window will open.